In a previous Norfolk Wildlife Trust blog [Thorpe Marshes in the 1960s, January 2017] I wrote about Thorpe Marshes in the 1960s. That was after meeting John Rushmer who, during that decade, had a herd of cattle for milking on what is now the NWT nature reserve - Honeyguide's local patch. At that time I had no pictures from the 1960s to illustrate the story. John Rushmer has now located two slides taken at the time. The Kodachrome slides are undated, but they are of a design used by Kodak from 1959-1962. 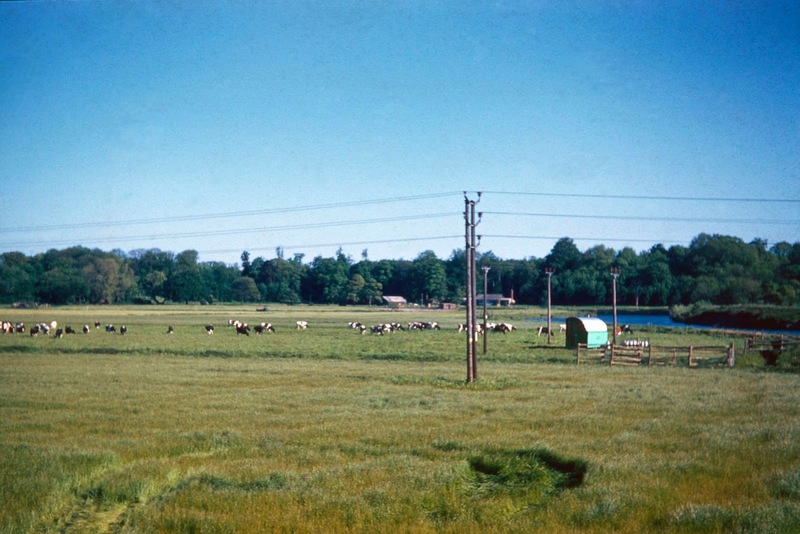 John was offered the grazing in 1960 and started grazing livestock there from 1961; these slides show the marshes after ploughing and sowing with rye grass so they will be from 1961 at the earliest and more likely from 1962. The slides were scanned and cleaned up by Thorpe Marshes volunteer Derek Longe. The first is a view of Thorpe Marshes from the pedestrian footbridge over the adjacent railway line, looking south. The most striking feature of the landscape is its openness. There’s not a tree or bit of scrub to be seen on the north side of the River Yare, though the wooded landscape on the south side of the river at Whitlingham is much as now. 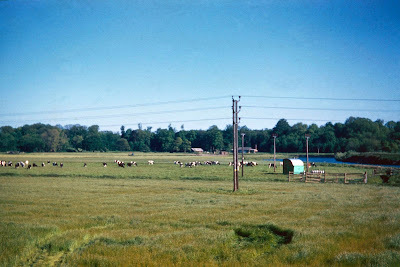 The gravel pit, now called St Andrews Broad, is also not yet there: that was dug in the 1990s and the posts and wires went at around the same time. The second photo shows a group of Friesians waiting to be milked. 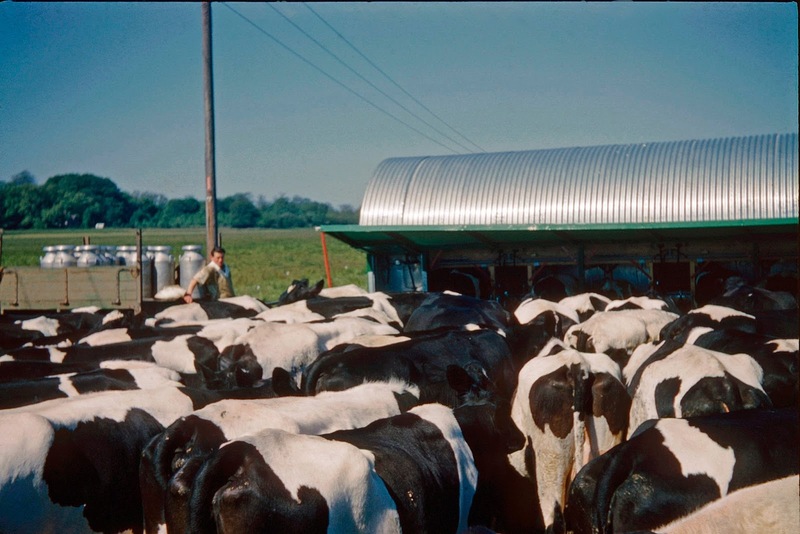 The man is the photo by the milk churns is John Rushmer’s head herdsman Frank Bracey. “And what a good man he was too, very knowledgeable with livestock,” says John.